Have you ever been annoyed by the mundane task of setting up event agenda and updating it again and again on your website, registration page, and social media? Hundreds of event organizers have found this popular tool helpful. It is available at NO additional charge for Whova customers. 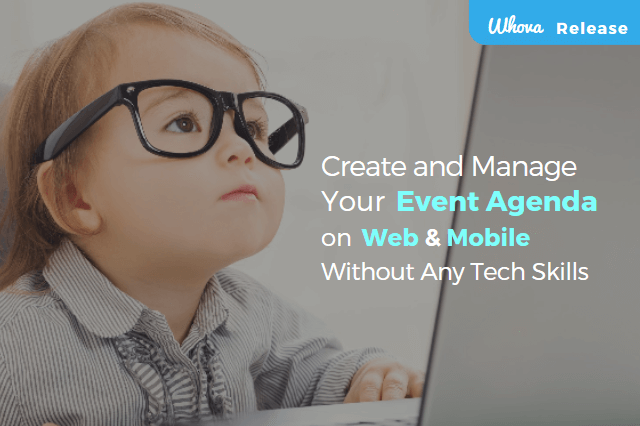 All you need to do is just put your event’s schedule in a spreadsheet and upload it to Whova dashboard. Whova will convert it to an agenda including session details, speaker profiles, and interactive multi-day / multi-track schedules. It will look absolutely clean and professional on any website and the Whova app. It’s awesome! Is It Easy to Integrate My Agenda in Multiple Websites? To promote your event, you might have to manage multiple websites including your event information, such as registration pages and Facebook event pages. But don’t worry, it’s easy to integrate your agenda into any website, all you have to do is copy and paste a single line of code. It’s a convenient way for people to directly browse your event agenda without having to visit your event website. What’s the Best Part? – Update Once, Sync Everywhere! It’s highly likely that you’ll update your event’s agenda plenty of times after putting it up online. With the agenda webpage builder, making those changes is easy. 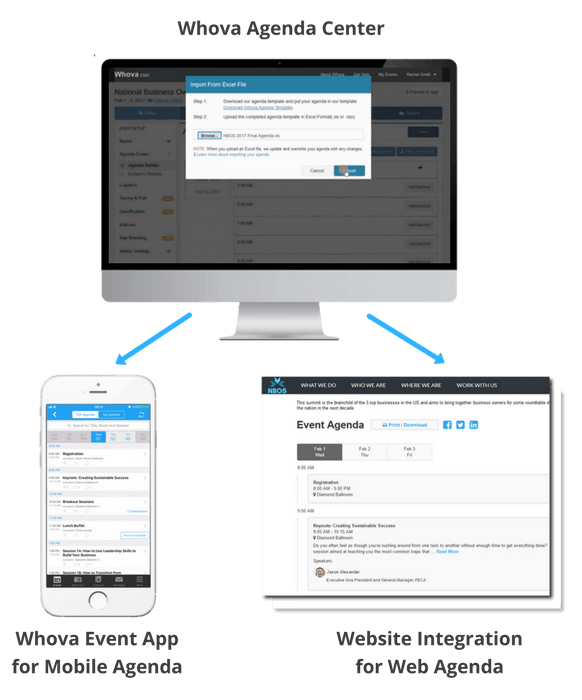 You can make updates on the Whova dashboard, and the changes will be automatically synced across all websites as well as your event app. You don’t have to worry about making manual updates that are tedious and prone to mistakes. How About Speaker, Sponsor or Exhibitor Pages? Many Whova customers liked the agenda webpage builder as it saved their time. So, we extended the functionality for speakers, sponsors and exhibitors webpages. The website builder works similar to the agenda webpage builder – just requires one line of copy & paste. Please find the details here: create an event website in 10 minutes and let it auto-update. Creating an event agenda doesn’t have to be hard. Build even the most complicated agenda using Whova, integrate it into your website without any technical skills, and conveniently manage it. Hundreds of event organizers have found this popular tool helpful, so get started today!